Whether you’re regular runner pounding the pavements or you just want to get fit for 2017 after eating too much turkey, Xmas is a perfect time to invest in running gear. Loads of running accessories are available ranging in price from £10 to over £200 and many of them make ideal stocking fillers as well as more substantial presents for the runner in your life! When you need a bit of extra coverage but don’t want to overheat on your run, this women’s running jacket in purple is your go-to layering piece. The jacket is made with Climalite® fabric which Adidas claims sweeps sweat from your skin to keep you dry. Made from 87% Polyester and 13% Elastane (Spandex). 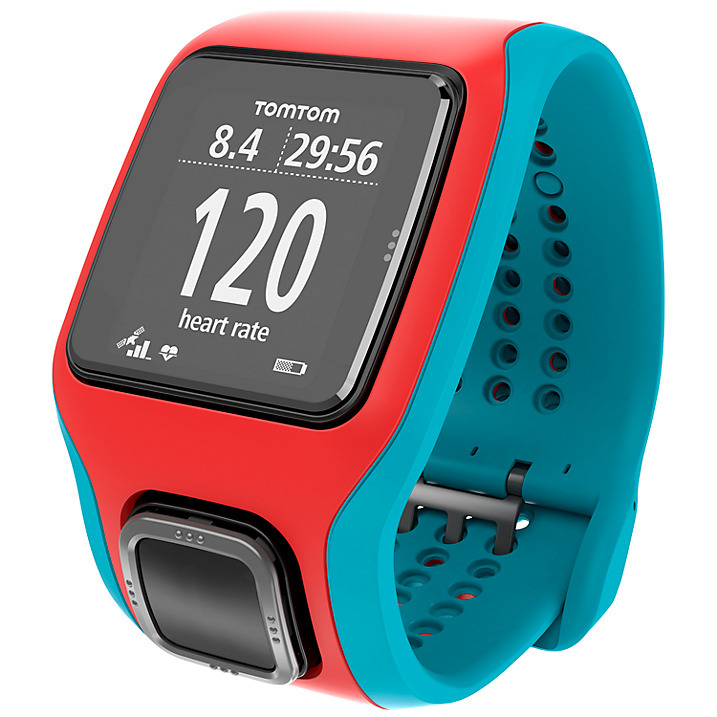 Get even more out of your run with this colourful cardio watch from sat nav firm TomTom (also available in a more boring white/grey finish). Real-time running statistics are available at a glance, including distance, time, speed, pace and calories burnt during exercise. What’s more, a built-in heart rate monitor delivers on-the-go stats during your running sessions. 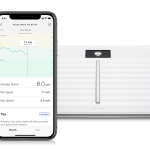 Rather cleverly, this accurately measures your heart rate through a sensor that monitors changes in the blood flow in your wrist. This is achieved by passing a harmless light through the skin and detecting the changing light reflections to read your heart rate! When you are running in winter, your hands can get very cold so investing in a decent pair of gloves is a very good idea indeed. 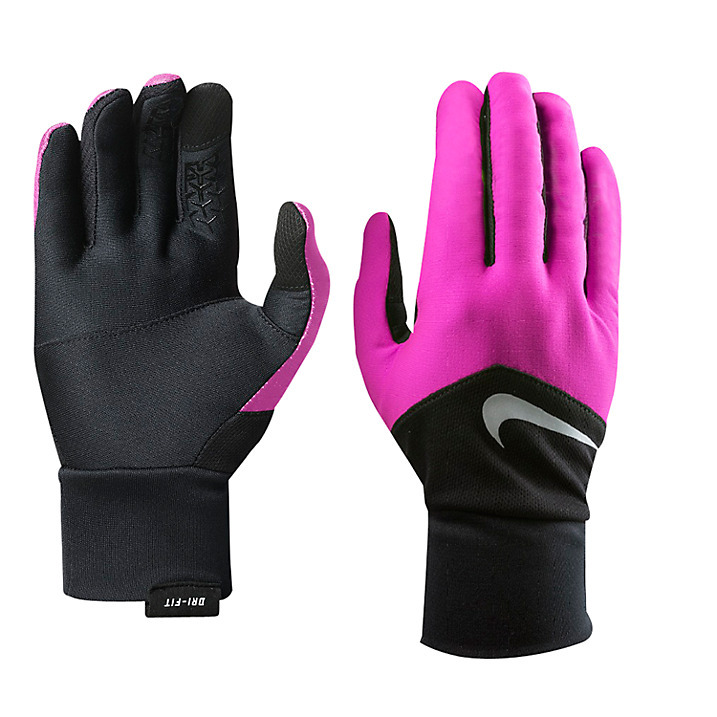 Made from Dri-FIT fabric with mesh accents, these Nike gloves are lightweight and breathable, with reflective elements to help you stay visible when running in poor light at dawn, dusk or on winter evenings. They feature articulated fingers and palm for added comfort and to allow a more natural range of motion. 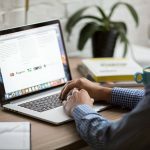 They’re also designed for grip and come with sensitive forefinger and thumb tips to make them easy to use with smartphones and touch screens so you don’t have to take your gloves off to adjust the display. They are made from 98% polyester, 1% elastane and 1% polyurethane. 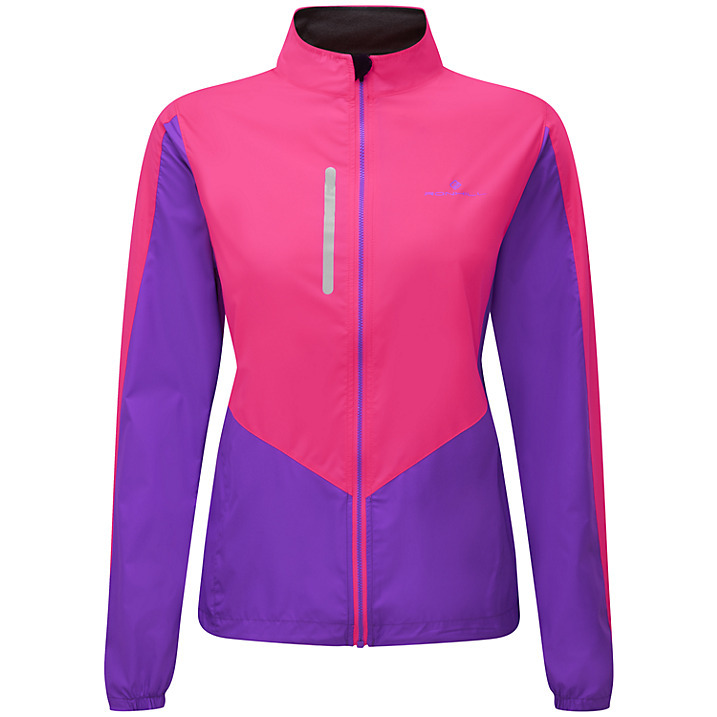 Run in poor weather conditions with this colourful and, dare we say, stylish two-tone pink and purple running jacket from Ronhill. Called the Vizion Windlite Running Jacket, this lightweight jacket features a full front zip, funnel neck and chest pocket. 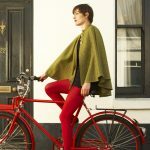 Designed for warmth and protection against the elements, it comes with micro fleece lined collar, ergonomic shaped cuffs and a drawcord hem which can be easily operated with one hand. 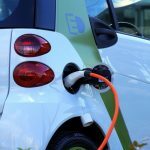 Other features include reflective tape and water resistant treatment. It weighs 143g. Planning on going running over the festive season, or looking for a gift for someone just getting into running? Then obviously you’ll need a decent pair of running shoes. These attractive men’s running shoes from Asics provide lightweight comfort and cushioning and have been made to keep your feet cool during your runs. 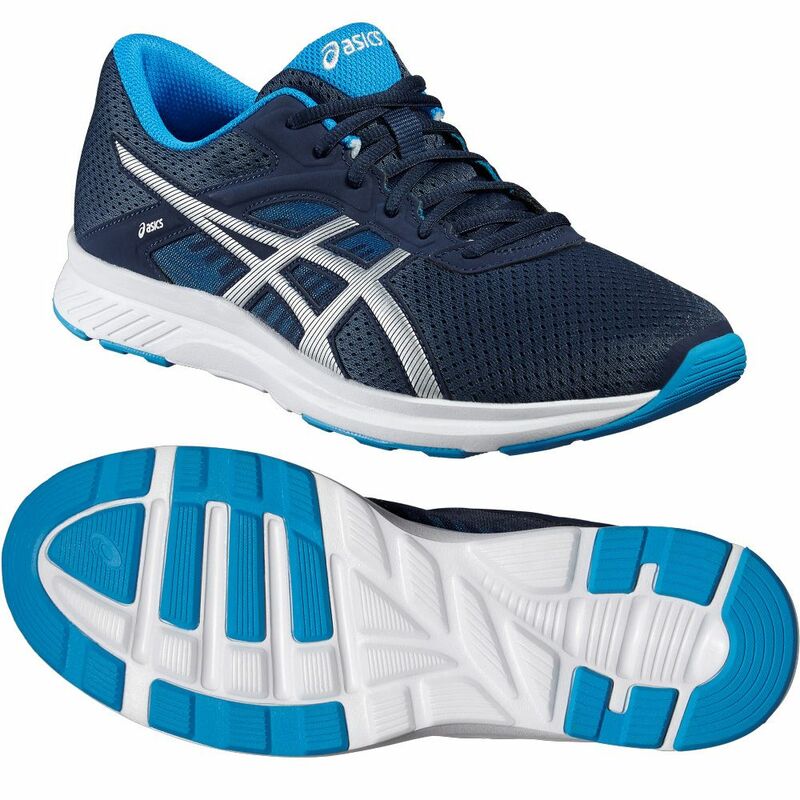 Perfect for neutral runners (you can check what type of runner you are here), the lightweight 235g (8.3oz) trainers offer a comfortable fit thanks to a breathable upper and feature a lace-up design with characteristic Asics branding to the sides. Improved durability and traction on various surfaces are ensured thanks to a flexible rubber outsole. Alternatively, if you are more interested in skate shoes check out the selection on Nicer Shoes. Delivering a bright red light for proper visibility in poorly lit conditions, the Ultimate Performance LED High-Visibility running wristband will illuminate your track for up to 150 hours with two included modes: constant light, and flash. 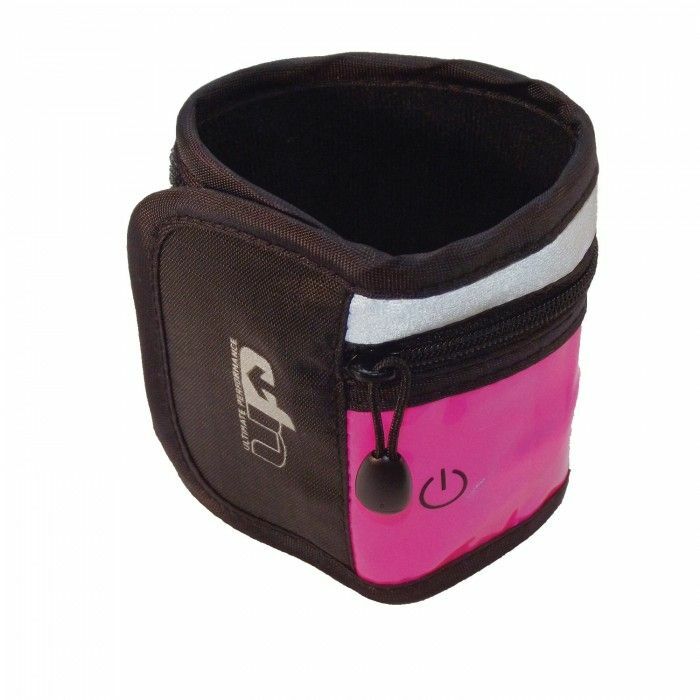 A velcro closure is included for optimised fit, and there’s a small zipped pocked to store valuables such as keys. For added visibility the wristband also offers reflective detailing. Providing a moulded shape for comfortable, personalised fit, the Asics MP3 Arm Tube running armband is a great choice for avid runners who enjoy listening to music while heading for a jogging session, but can’t stand having anything in their pockets. Attach it onto your arm, slide in your music player and you’re ready to go. What’s more, you can store keys in the added small zipped pocket. 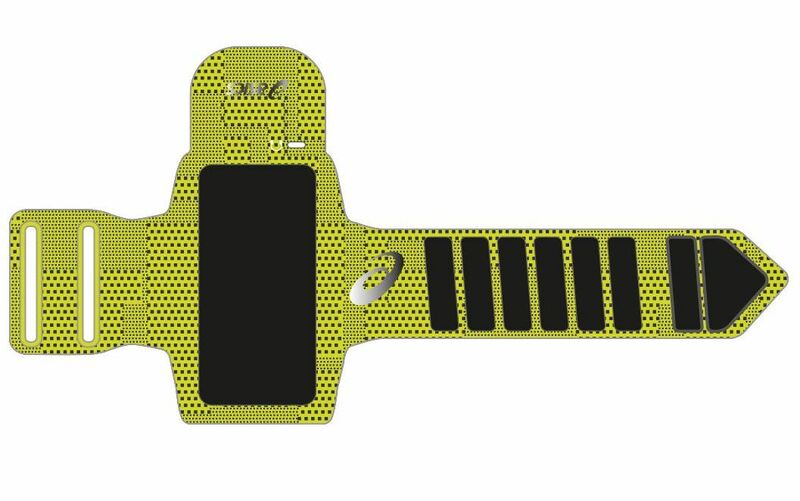 Additionally, the armband features a reflective detailing, excellent for poorly illuminated area, or when running in the evening. From the company that has been developing robust, dedicated wearable technology for athletes for more than a decade comes this GPS smartwatch. With the HR Vivoactive you can listen to your music whilst completing your favourite sports without getting your smartphone out of your pocket. 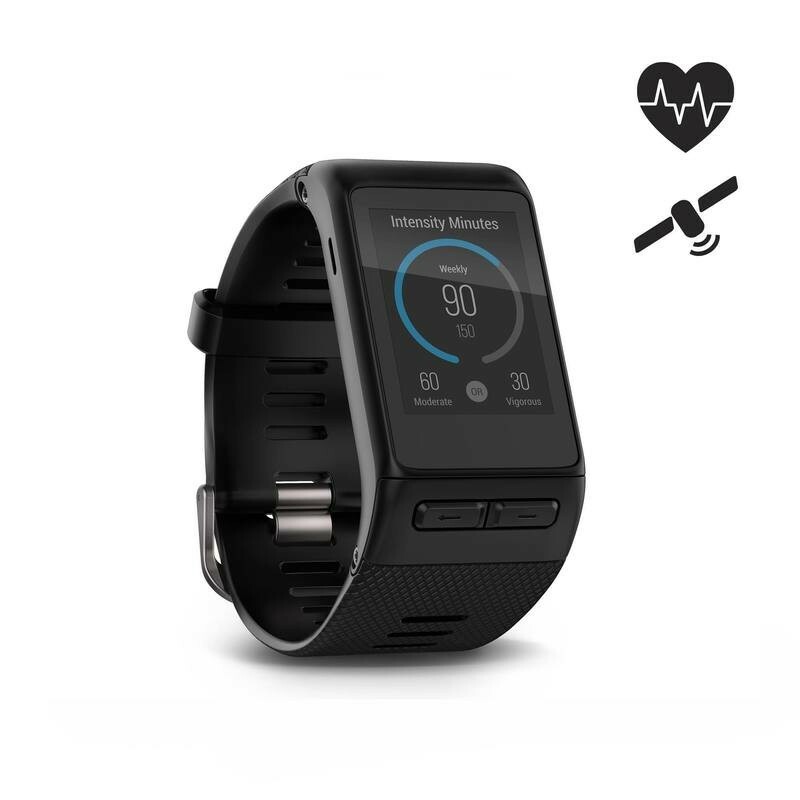 It measurer your heart rate at the wrist throughout the day and comes with built-in Garmin sports apps including GPS-enabled running, biking and golfing plus swimming and activity tracking. It even lets you view your stats when away from your phone. Can be customised with free watch face designs, widgets and apps from Garmin’s Connect IQ™ store. See reviews of best Garmin running watches on Runnerclick. At this time of year if you want to run before 7am or after 4pm then you need a head torch – otherwise you might find yourself head down in a ditch on your next run after falling over a branch. Designed to light up your trail and avoid obstacles when moving quickly, this 180 lumens headlamp provides a good medium-range beam to keep you safe. 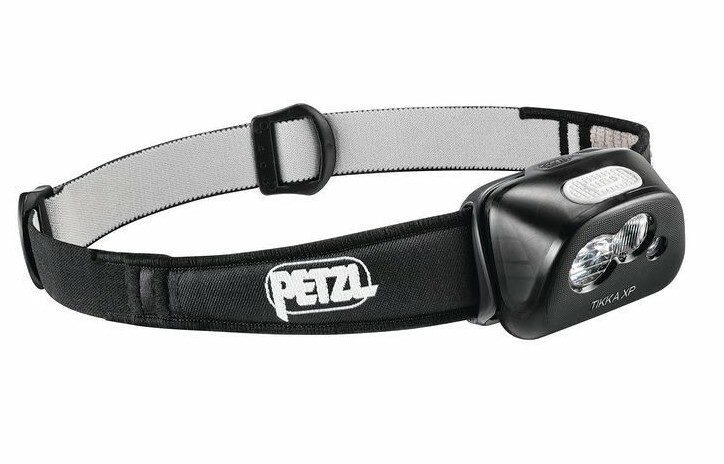 Equipped with constant lighting technology, the waterproof headlamp also guarantees continual light. Three AAA batteries are included. OK so buying someone socks for Xmas isn’t exactly original, but then these are more exciting than most. The Salming running ankle socks offer a cool, sporty design and come in no nonsense colours to add a touch of style and spice up your runs. They protect your feet, ensure an optimum fit to let you focus on increasing performance and provide great breathability enabling you to stay cool and fresh during intense running sessions. The soft-to-touch ankle socks are supplied in a pack of three.